leda till oro bland kvinnor, remiss till specialist och kirurgiska ingrepp." 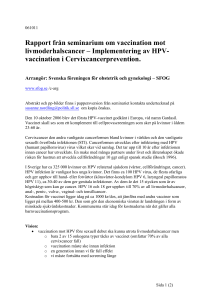 Organization (WHO) in July 2009.
types after 16 and 18.
will be newly diagnosed with cervical cancer and 280,000 women will die from it each year. women and more difficult to detect through screening. are described under 'Risk Factors' in the 'Business Review' in the company' s Annual Report on Form 20-F for 2008. Infections and Type-Specific Implications in Cervical Neoplasia. 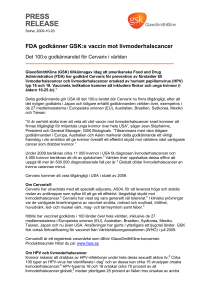 Vaccine 26S (2008) K1–K16. of a randomised placebo-controlled trial up to 6.4 years. 2009. Published online The Lancet December 3 2009. 4. Aguilar JC. 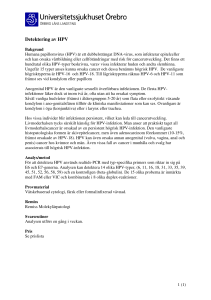 Vaccine adjuvants revisited. 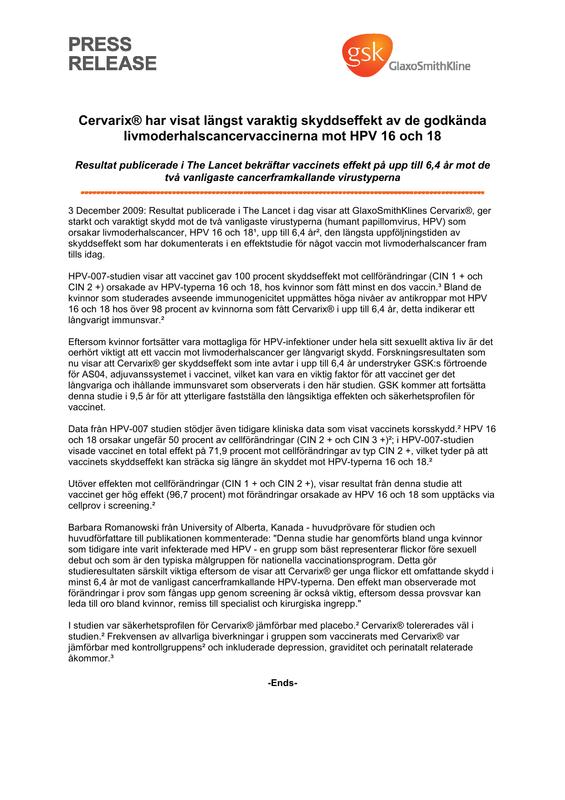 Vaccine 2007; 25: 3752-3762.
vaccine for cervical cancer prevention: a pooled analysis of 11 clinical trials. 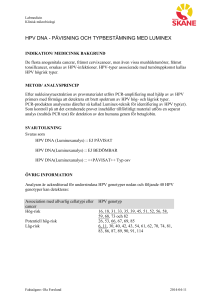 Human Vaccine, 2009; 55: 1-9. 6. Paavonen J et al. 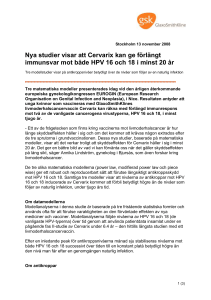 Efficacy of the HPV-16/18 AS04-adjuvanted vaccine against cervical infection and precancer caused by oncogenic HPV types: final event-driven analysis in young women (the PATRICIA trial). associated with cervical cancer. N Engl J Med 2003; 348: 518-527. 11. World Health Organization. Initiative for Vaccine Research. 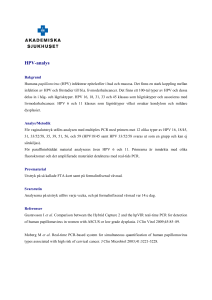 http://www.who.int/vaccine_research/diseases/hpv/en/ Accessed on February 13, 2009.